Creating beautiful landscaping on a budget sounds like an impossible task. But, it’s a common question that deserves an answer. Although landscaping can be expensive, there are ways to offset the costs. So, if you have huge landscape dreams but shallow pockets, here are some ways that you can get through this! When trying to landscape on a budget, you need to be aware of the balance between your resources of time/effort vs. money. You can save money by spending more time and effort doing it yourself. Or you can get it done with less time and effort by hiring out the job. It’s all about maintaining the balance between how much time and effort you can spend and how much money you can spend. Maybe you don’t have a large budget, but you have some money to spend. Are there some landscaping tasks that you really aren’t comfortable or capable of doing on your own that you can outsource? It may be cheaper to hire someone to do those specific tasks than if you hired out the entire project. This is a good way to save some money on your landscaping project without having to sacrifice quality or your precious time. Now that you understand the balance between time and money, let’s talk priorities. Landscape projects also consist of a balance between beauty and function. When working on a budget, I recommend that you prioritize your functional needs over your aesthetic desires. You may need to sacrifice some beauty to make your landscaping functional. Before you make it pretty, you have to make it work. Here are some ways to determine what’s most important on your landscaping to-do list. What’s already working in your landscaping? Take those ideas and run with them in other areas… like this beautifully naturalized meadow of daisies. What parts of your landscaping are already working? Are there spaces in your landscape that you already really love and enjoy? Consider how you can improve upon areas you already love. With a few slight tweaks, could make these spaces even better? This may be an easy budget-friendly project that will take a minimal amount of effort and money but produce a great result for you. Also think about ways you can apply what’s already working to other areas of your landscape. You can you take pieces from the areas you love to create more function, beauty and comfort to other areas of your landscape. If you’re landscaping on a budget, consider using leftover materials from the original project to complete your new project. What’s definitely not working in your landscape? Are there areas of your landscape that you really just hate? This is a good place to focus your time, effort and budget as well. To save money, you can consider just blocking the view to this unsightly area until you have more time and money to dedicate to fixing the area. Can you block, hide, cover or camouflage an area instead of actually landscaping it? Quick Tip: Read my post on how to start landscaping your yard to learn how to get started with your first landscaping project. What are some of your most used spaces? What to do you walk across the most, relax in the most, view the most or experience the most? Prioritize the spaces you use most in your landscaping budget. For example, consider how you access your front door from the street or your parking area. Is the walkway wide enough? Do you enjoy walking to your front door? Are there any tripping hazards? Is there proper lighting? Is it clear for guests how they should get to the front door from the parking area? Your property entry is a great place to start if you are landscaping on a budget. Improving the function and aesthetic appeal of your entry is something you can enjoy every day. It will also improve your curb appeal and increase the value of your home (more on this in the next section). What landscaping projects will increase the value of your home? What landscaping projects will give you the biggest return on investment (ROI)? A beautiful, well-kept landscape is the very definition of curb appeal. If you are landscaping on a budget, consider focusing your priorities on the areas that will give you the biggest bang for your buck. Improving your front entry and foundation planting will boost your home value more than any other landscaping project. According to landscape economist John Harris, a beautiful and well-kept landscape can account for 28% of your home’s overall value. My printable project planning worksheets will help you stay on budget during your next landscaping project. So, you’ve decided on a budget. You’ve determined how much time and energy you can dedicate to your project. You’ve even prioritized your list so you know what’s most important. Now, you need to create a plan. Many times, in an effort to save money, home owners will DIY their landscape project and actually create more issues. Before you fall into this trap, create a plan for your project and take the time to understand how to tackle the project. Quick Tip: My printable project planning worksheets will help you stay on budget during your next landscaping project. Notice that I didn’t say pick your plants first! Plants are kind of like the icing on the landscaping cake. If you have a crooked cake you may be able to disguise some of the issues with the frosting… but it will probably look kind of crappy. But, if you didn’t follow the recipe or bake it long enough, it won’t taste good. It’s really hard to fix this without starting over. And starting over can cost you not only money… but time and effort. I believe I’ve made my point! Start with a plan. Execute the plan. Choose your plants (LAST). Working with a plan will ensure that you do the project right the first time. I’m sure this sounds obvious, but it’s really important. Low maintenance and durable designs are more cost-effective and time-effective in the long run. So, invest in the knowledge you need to do the project right the first time. Otherwise, you’ll be spending your time maintaining or money replacing your mistakes. 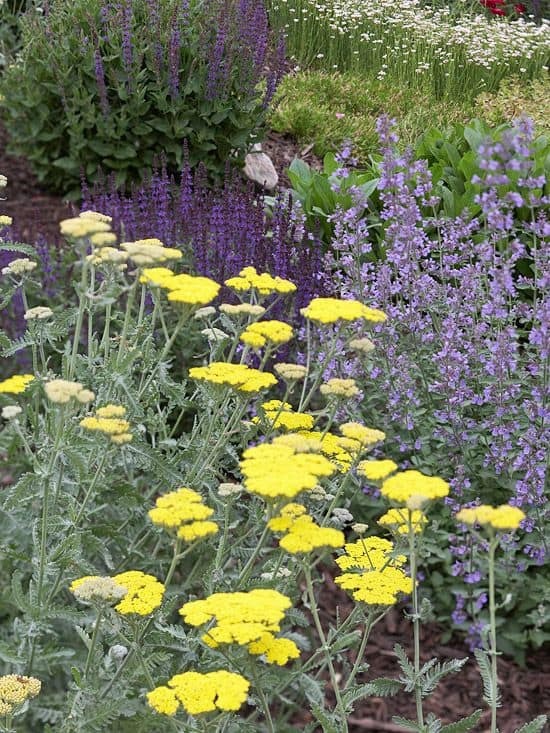 Quick Tip: Check out my article on Landscape Layering when you’re ready to choose plants. If you’re landscaping on a budget or are intimidated by starting a large landscaping project, there’s nothing wrong with starting a small project first. Instead of tackling your whole front yard, start with a front porch flag or a mailbox garden. Once you gain more confidence, you can continue to build upon that first small project. Even when you start small, start with a plan. Dream big at first then break down your big dream into smaller, manageable projects that you can accomplish one at a time. Maybe you can’t afford a $10,000 landscaping project, but could you break that project down into phases that you could work on over the course of four or five years? This brings me to my next tip… working in phases. When you break your landscaping project into smaller projects, you’ll be able to achieve your landscaping goals at a pace and price you can handle. Start small and only take on what you handle. This is a little bit of a tortoise vs. the hair analogy. Slow and steady CAN win the race. There is a risk involved with taking on a project in phases: weeds. Make sure that you don’t tear up too much of your landscape at one time. Remember… phases. Cover any areas of bare soil in order to prevent weed growth. There are many options for covering the area. One of the easiest, aesthetically pleasing and budget-friendly options for this is mulch. Use the mulch as a placeholder to prevent weed pressure in your garden until you have time to finish the project. 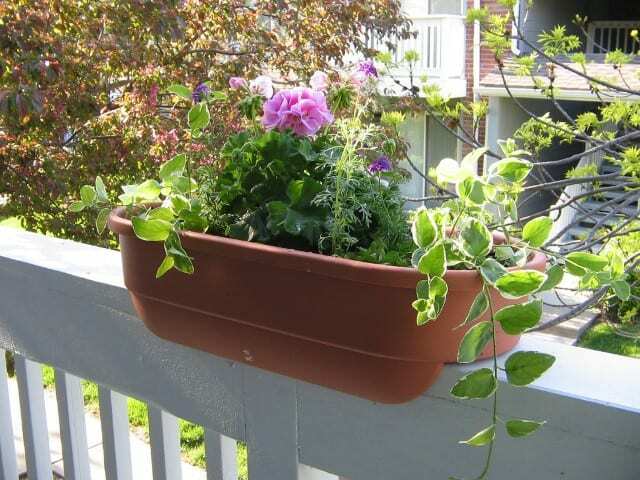 Add simple planter boxes under your windows or even along your porch railing. Build simple retaining walls for your flower beds. Paint your front door to tie in your landscaping with your home. Create a lovely mailbox garden to welcome guests into your property. 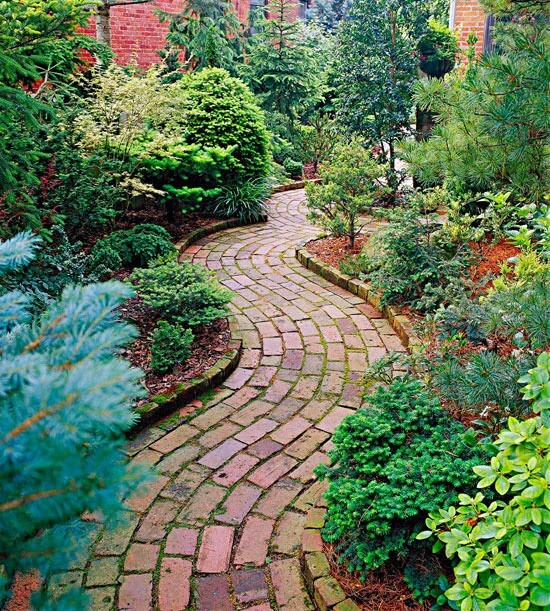 Install a charming brick paver walkway or even a cute cottage-style stepping stone path. Extend your foundation planting beds so they create a better transition from your yard to your home. Mount a flag on your porch for some all-American charm. A beautiful backyard doesn’t have to cost a fortune. With a little effort and a lot of creativity, you can create a beautiful outdoor space without being house-poor. Here are some budget-friendly backyard landscaping ideas that are cheap, easy and guaranteed to turn heads. Create pretty garden paths and walkways that will entice your guests to meander through your landscape. Design a relaxing fire pit area like this – it only cost $60! Install this easy and cool DIY pondless water feature. Think vertical. If you don’t have a lot of space to work with, planting a vertical garden could be just the ticket. Don’t forget the dog! Here are some great dog-friendly landscaping ideas for your backyard. Build furniture from recycled pallets, like this great outdoor sectional, instead of buying from the store. Wood chip mulch: A lot of local tree services are looking to get rid of their wood chip mulch and may offer it to you at little to no cost. So, I’d recommend contacting a pro in your area. You may see some sticks or dried leaves in this type of mulch, but from a distance you really can’t tell the difference. Compost: Consider making your own compost. This will provide you with a great fertilizer for your garden beds and it’s also great for the environment. If you don’t want to get into composting, there are many local areas that give away or sell compost at a very low cost. So, check your local township or city resources to find out if this is available. Leaf mulch: You can also collect leaves and use those as mulch. People bag them for you and put them on the curb. If you want to save money and aren’t easily embarrassed, just go around the neighborhood and pick up the leafs. Run them over with your lawn mower a few times and you’ll have beautiful leaf mulch. This will also add nutrients back into your soil and help your plants to grow up happy and healthy. Education: If you invest in learning about landscaping and gardening, you’ll gain more knowledge and confidence. You’ll also be able to tackle more projects without the help of a professional. Explore your curiosity by taking courses, listening to podcasts and reading blogs, books and magazines. This is a fun and rewarding way to invest in yourself and also save money in the long term. I hope you’ve found this budget-friendly landscaping tips and ideas helpful. Remember that in order to save money you may need to invest more time into your landscaping project. So, dedicate the budget that you do have to things that are really labor-intensive or you don’t have the skills to complete yourself. Once you understand this balance, you can set priorities for which projects will be the most important to you. There are many factors you can use to determine priority, like where you spend the most time, what will increase your home’s value or general likes and dislikes about certain areas of your landscape. When you’re on a budget it’s important that you create a plan and stick to it. While you can dream big in your plan, try to chunk this down into small and manageable projects. Also look for ways to break down the project into phases so that you can space out the amount of work you have to do and also give yourself more time to save money for it. 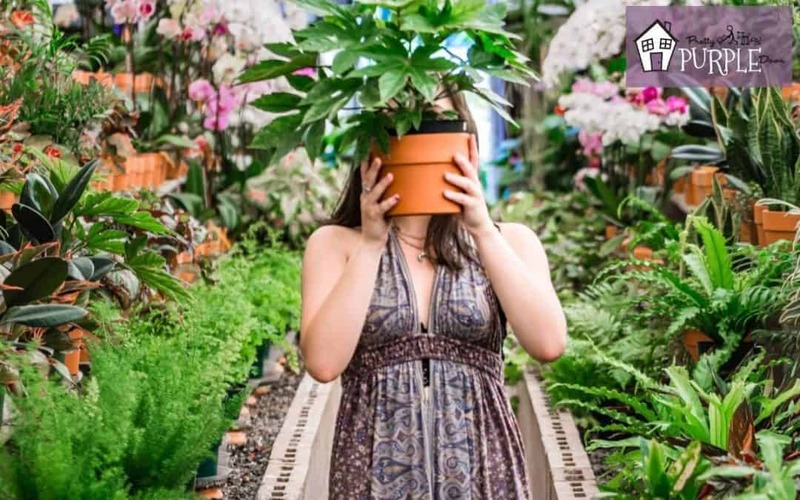 In addition, you can save a lot of money by simplifying your planting scheme and choosing plants that will naturally grow and fill up larger spaces. You can also use free or low-cost resources in your project…. Such as leaf mulch, wood chip mulch, compost, blogs, podcasts and even friends to help you with the work! Are you a budget-savvy landscaper? I’d love to hear about some landscaping projects that you proudly completed on a budget. Comment below with the details or any more budget-friendly landscaping tips.